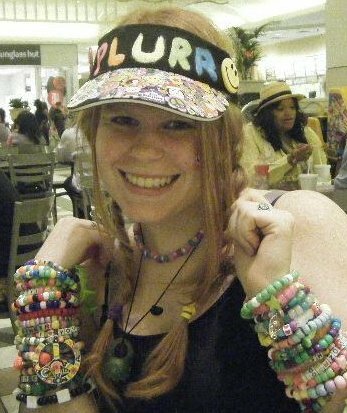 At first glance many are confused when trying to decipher how to read a kandi pattern. Have no fear, today we will dispel all those mysteries with a simple easy to follow tutorial. 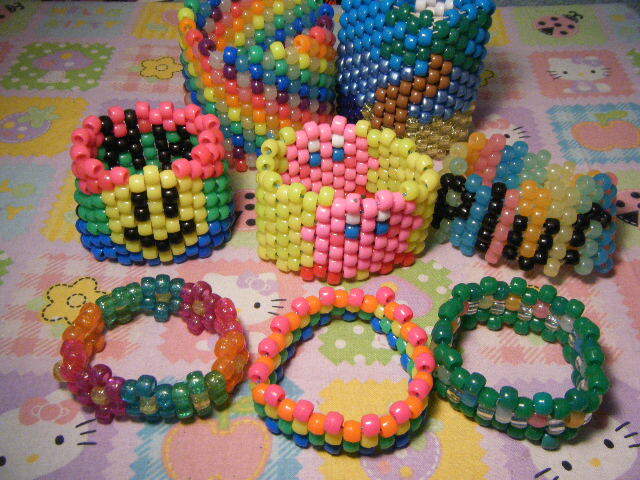 Kandi patterns are used by beginners and more advanced creators. They help layout bead patterns and assure accuracy in the final project. Many can depict colorful patterns, words, or even beloved characters. They add a new dimension of fun and creativity to the art form. 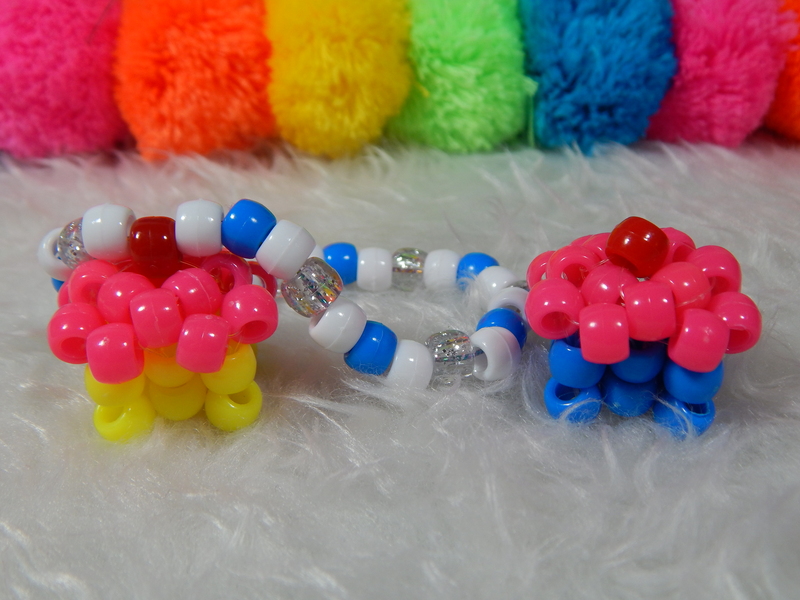 If you don’t know how to make a basic kandi cuff check out my video here. Below are patterns I created on kandipatterns.com which is a great website to get started making your own patterns with! As you can see the rows and columns are numbered to easily identify which color is next in the sequence. Here’s the trickiest part of reading the pattern. 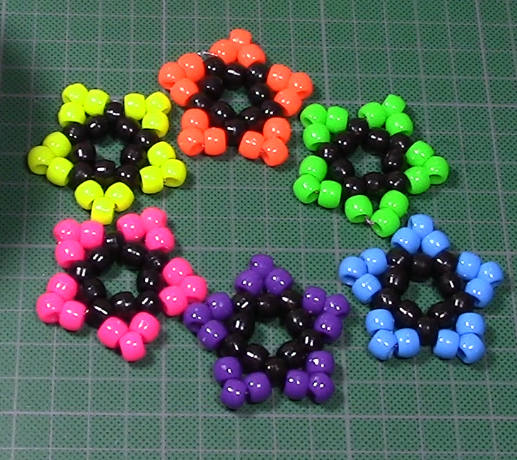 All the #1 beads should be included in the base single. This the the bracelet you make and tie off as the first row of any cuff. In this case the entire single would be purple. This is where you would tie off the single and cut off the excess. Starting row 2 your string should be between the first and last beads in row 1. (a blue & white bead here) Add the first bead in the 2nd row (blue) and it should sit on top of the first bead in row 1 (white) you should string through the second in row 1 (blue) and then add the second bead in row 2 (white) and continue this till the pattern is complete.